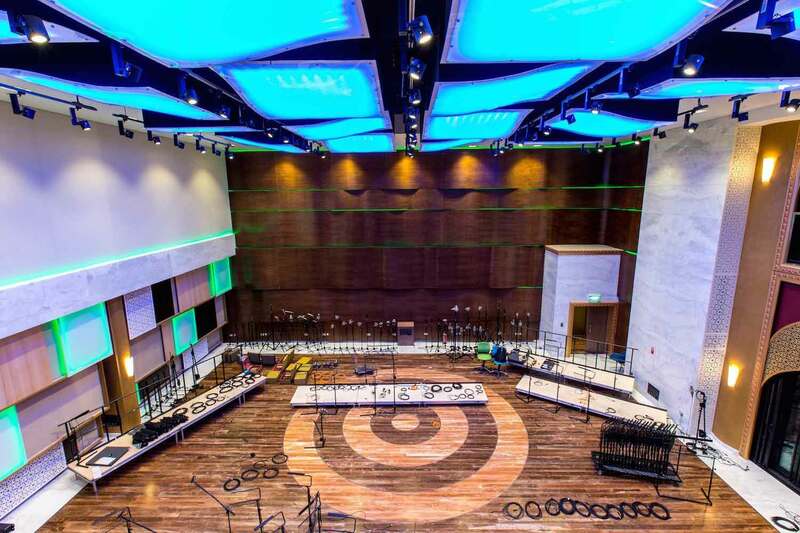 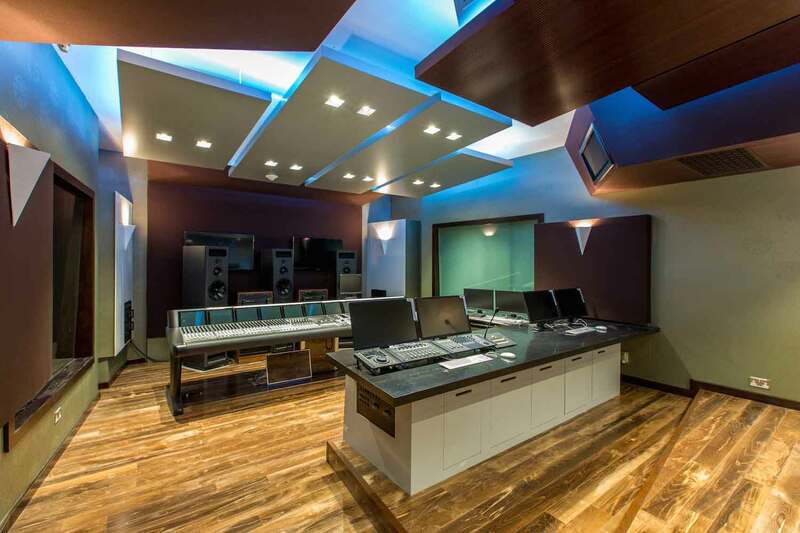 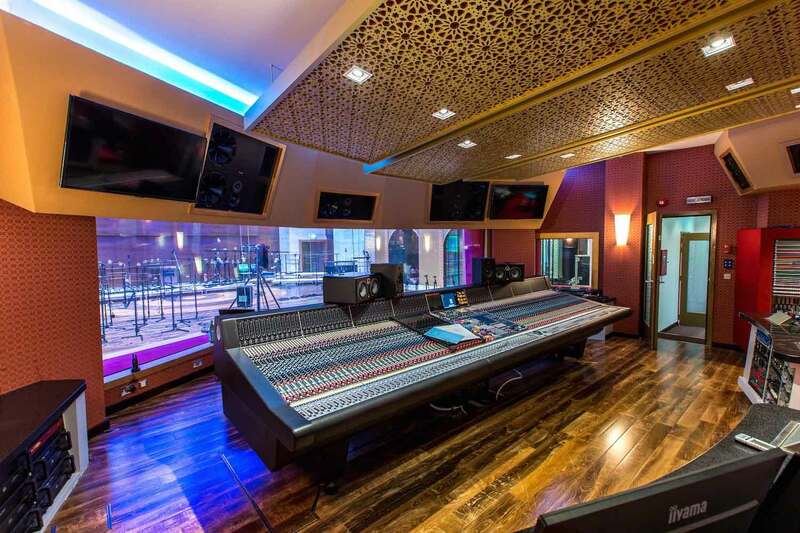 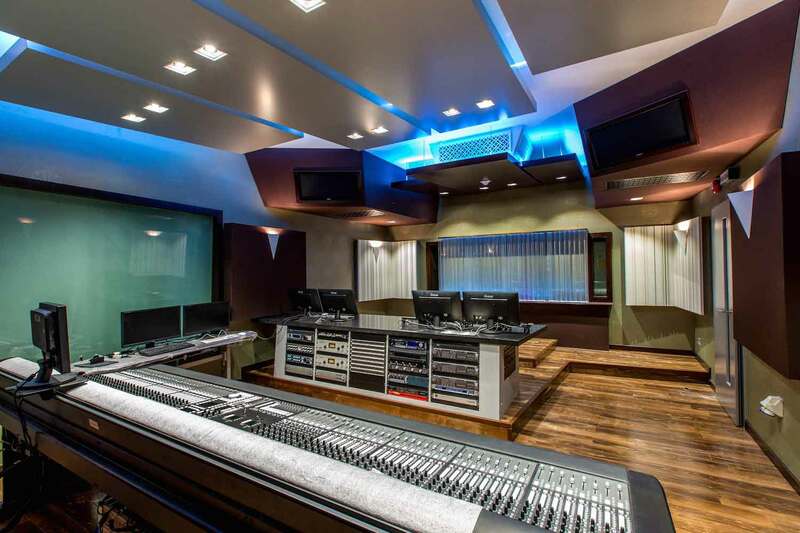 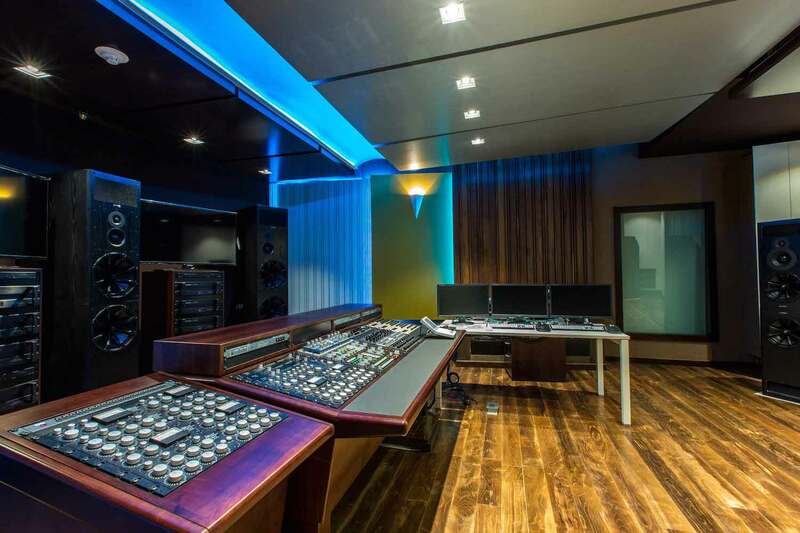 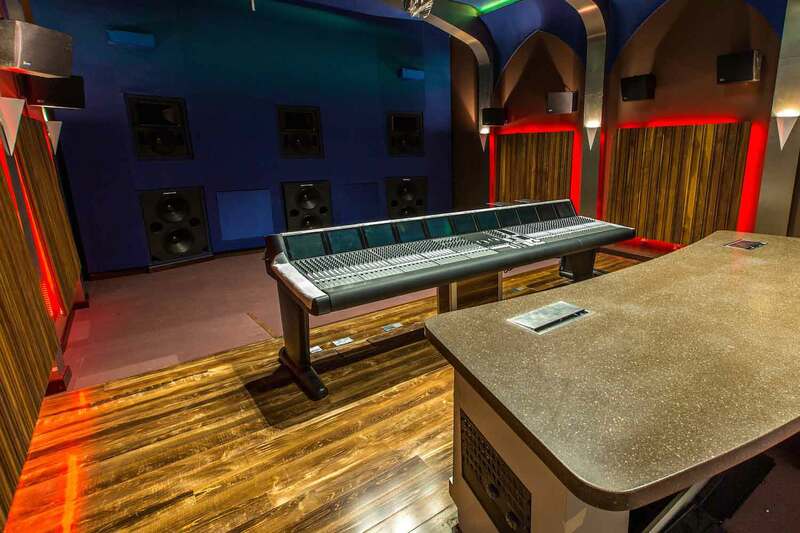 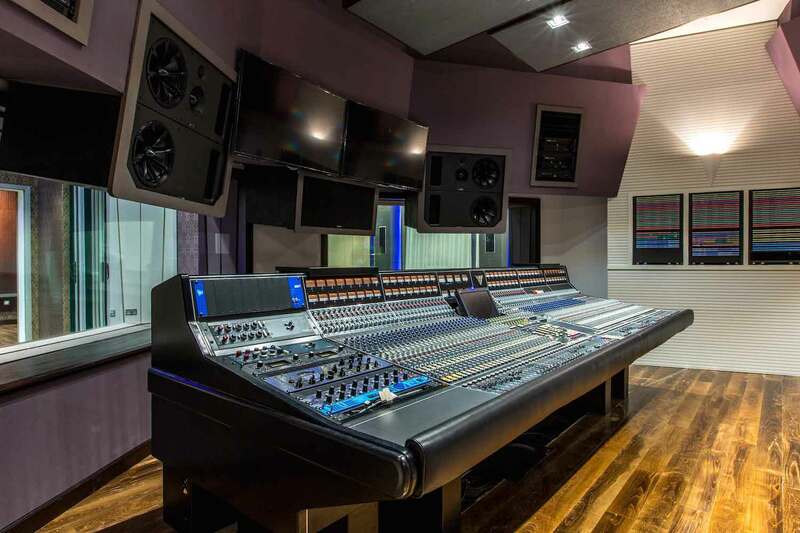 Doha, the capitol and principal city of Qatar, has welcomed the completion of Katara Studios, one of the Middle East’s largest and most technically advanced recording/audio production complexes. 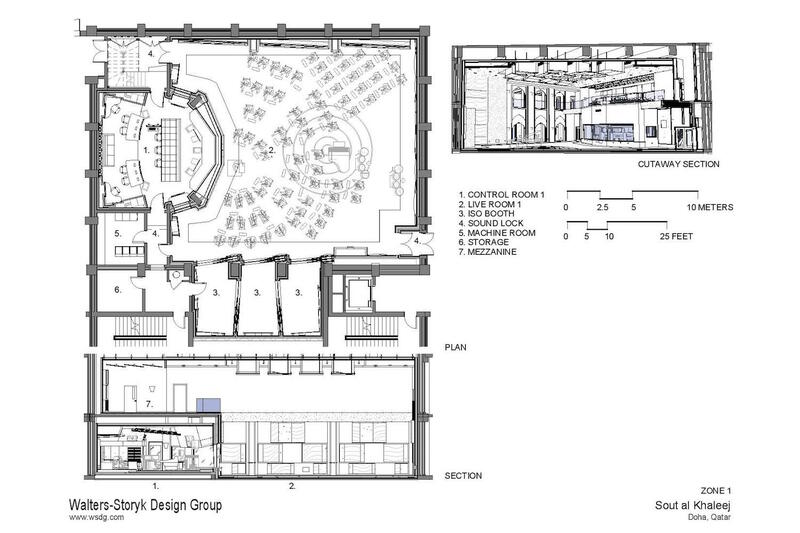 Created by WSDG, the 65, 000 ft2/6040 m2 compound, represents a major facet the Katara Committee’s mandate to establish Doha as one of the most vibrant media centers on The Persian Gulf. 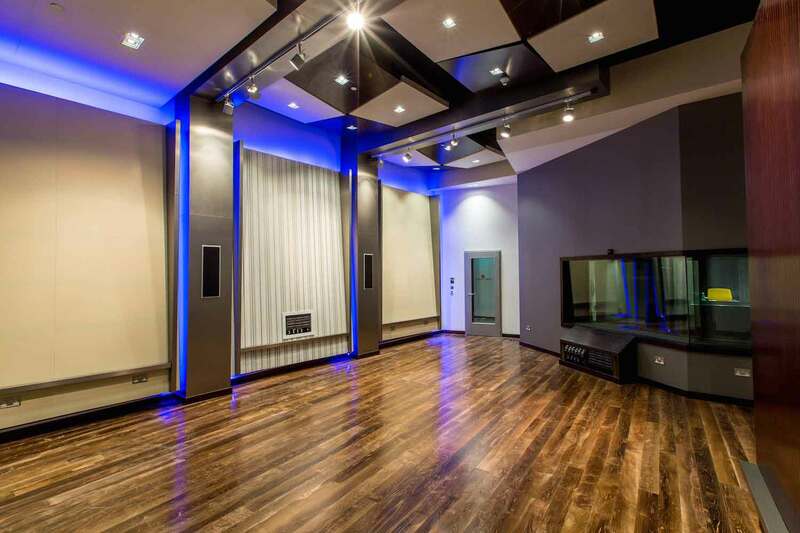 The sprawling, 40+ room complex features three distinct recording studios, distinguished by the 3,000 ft2/278 m2 Studio 1 Live (orchestral) Room, capable of hosting 80+ musicians. 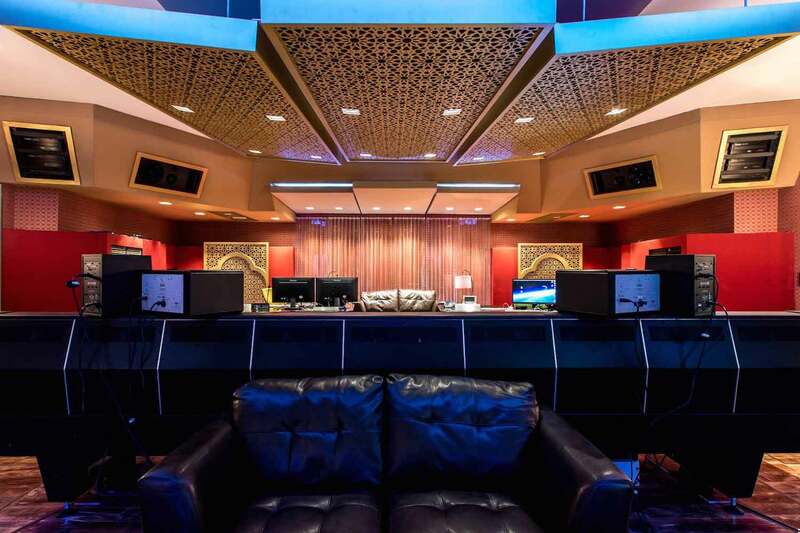 Live 1 is crowned by a towering 30’ / 9 m high ceiling and is equipped with a 582 ft2/54 m2 VIP Lounge, designed to perform triple duty as a lounge, Iso Booth or to provide additional room volume for the orchestral recording space. 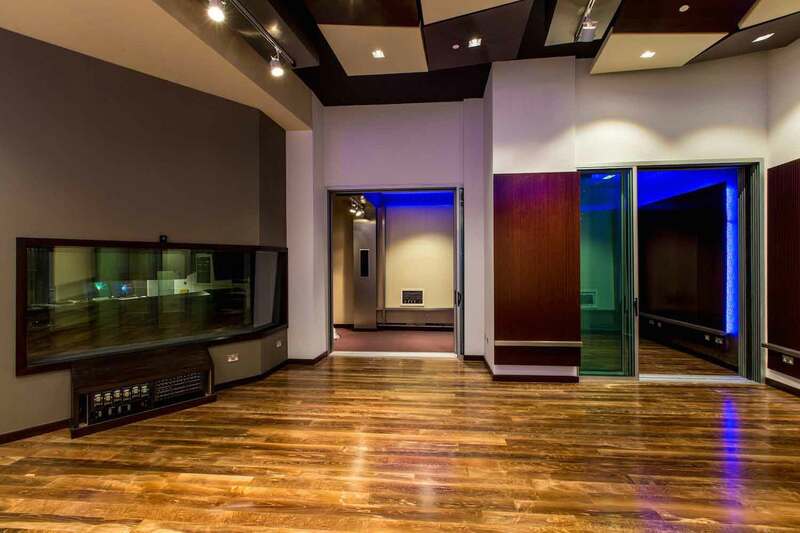 It also encompasses a 546 ft2/51 m2 Studio 2 (rock ‘n roll) Live Room and a 680 ft2/63 m2 Studio 3 for indigenous and/or jazz recording sessions. 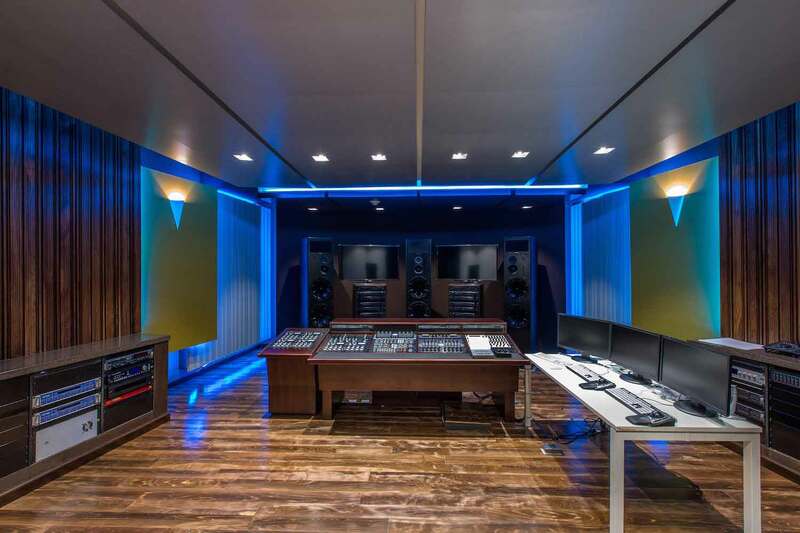 A sophisticated 583 ft2/55 m2 Mastering Suite, a 692 ft2/64 m2 Dolby Atmos-equipped Post-Production suite, two spacious Composer Rooms, three Audio Prep Rooms, a 518 ft2/48 m2 Video Grading Suite for feature film mixing, a 228 ft2/21 m2 Video Edit Suite, and a 1158 ft2/107 m2 Mezzanine all coalesce to provide clients with the ultimate recording experience. 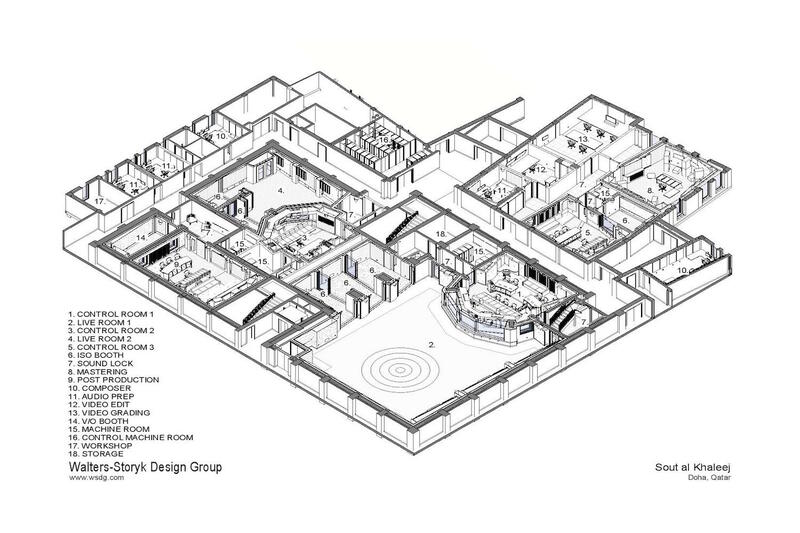 Aesthetics were a critical concern of the creative program. 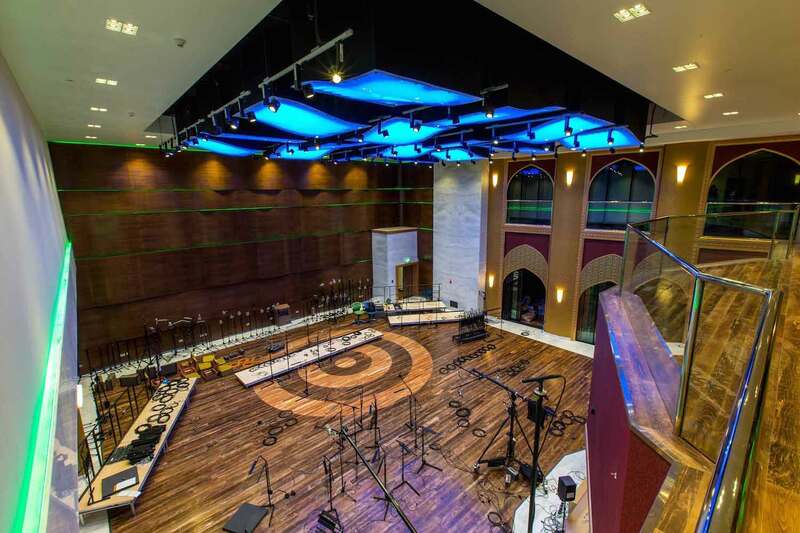 Katara Studios management was committed to incorporating authentic Arabic design elements throughout the complex. 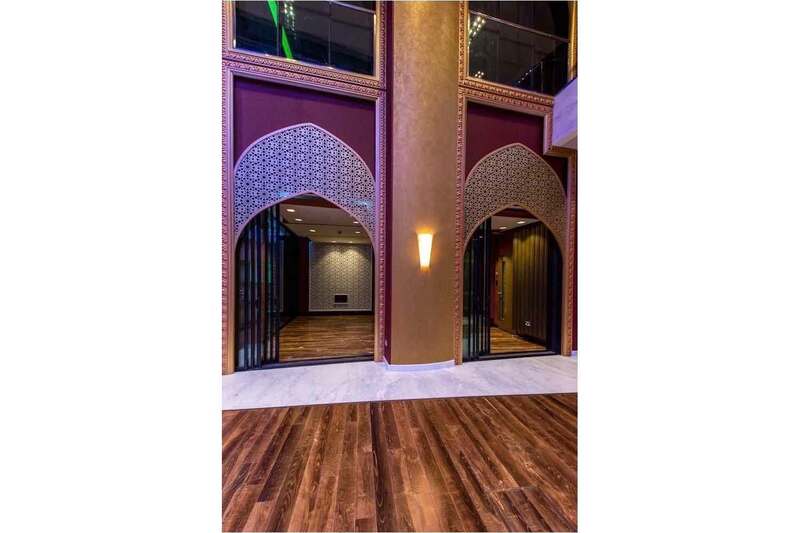 WSDG Co-Principal/Interior Designer, Beth Walters, and Partner/Art Director, Silvia Molho performed extensive research on Islamic and Muslim architecture. 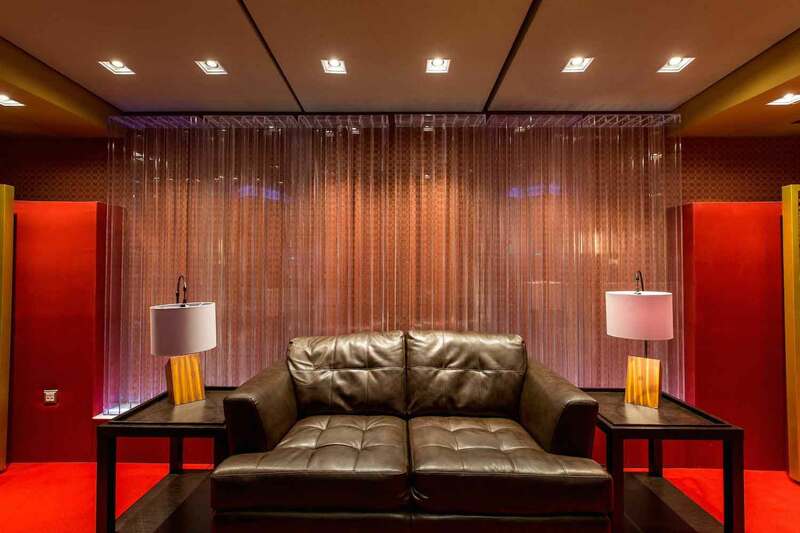 Studying the traditional, vibrantly colored Arabic palette, they developed methods to incorporate components of intricately patterned Islamic calligraphy and mosaics. 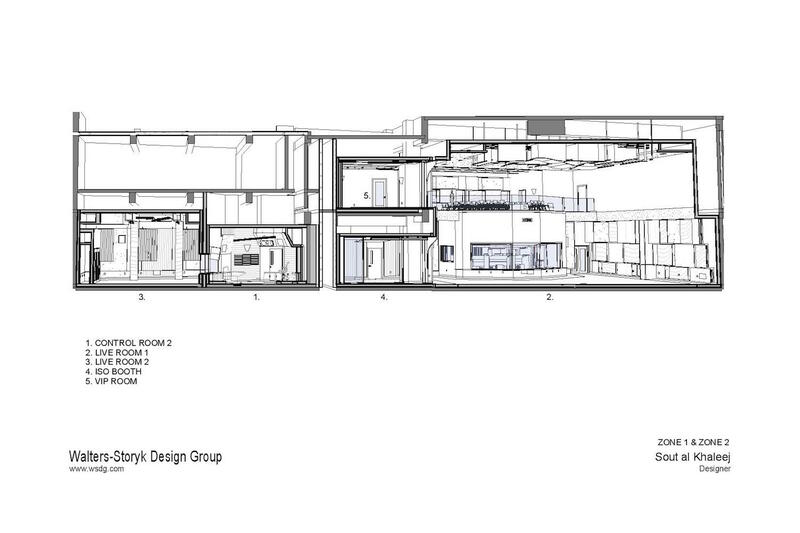 By creatively weaving them throughout the ultra modern complex in a completely organic fashion, they produced a successful design model. 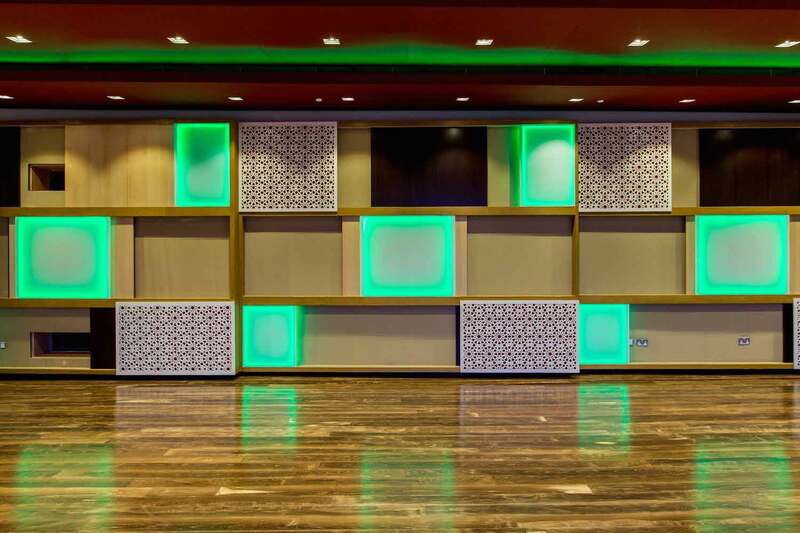 A series of custom designed “Magic Ceiling Cubes” provide mood lighting and also serve as membranic, low frequency absorbers. 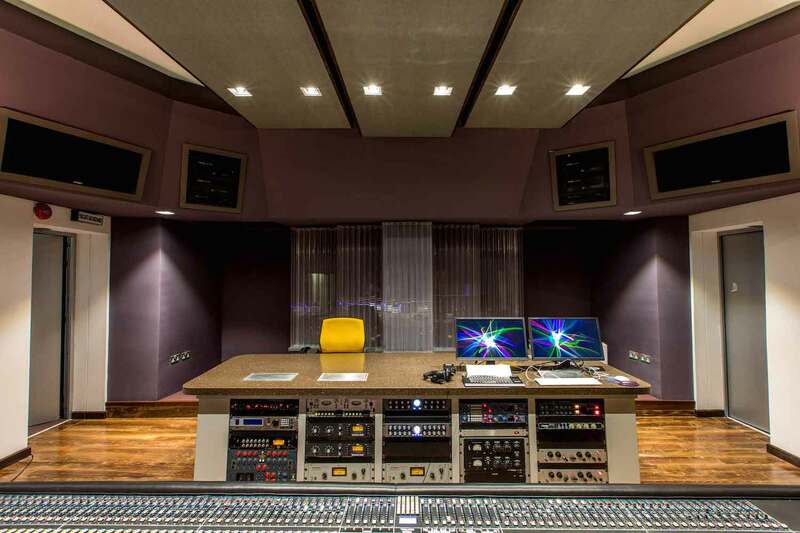 Thanks to a novel ‘pocketing’ scheme the Studio 1 Live Room’s three oversized ISO Booths can function independently be re-configured in a variety of permutations.